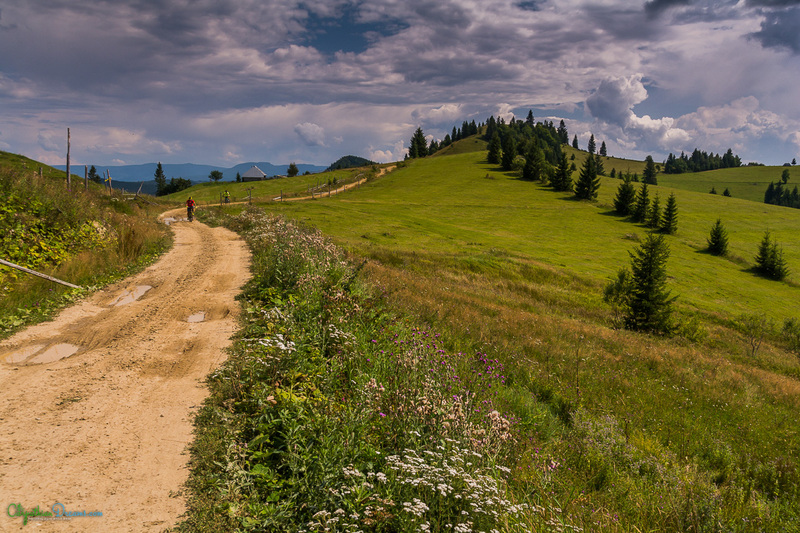 Deep into the wilderness of Romania lies a magical place that is wating to be explored. 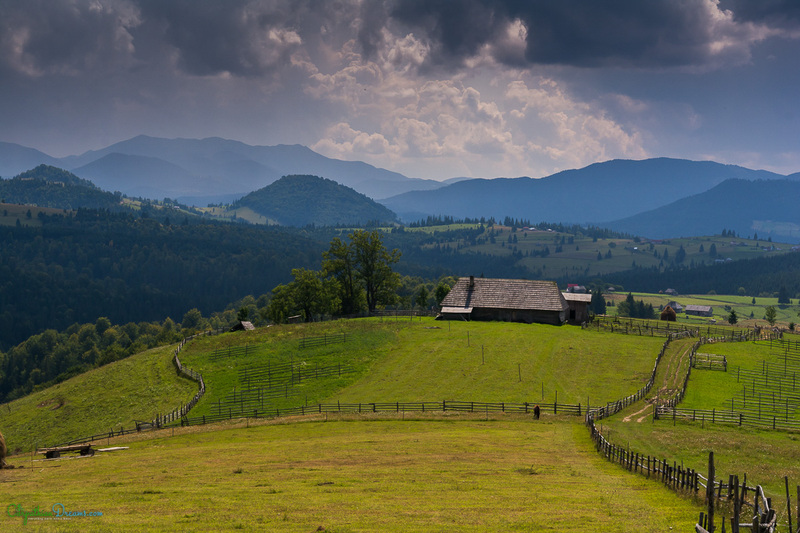 This Carpathian area, located at the intersection of the historical regions of Transylvania, Bucovina and Maramureş is one of the last regions in Europe where lost in time villages, with ancient traditions and customs, and wild and pristine nature is still to be found. We are inlove of these places and happy to show it, beeing guided by sustainable principles, respecting nature and local comunities. 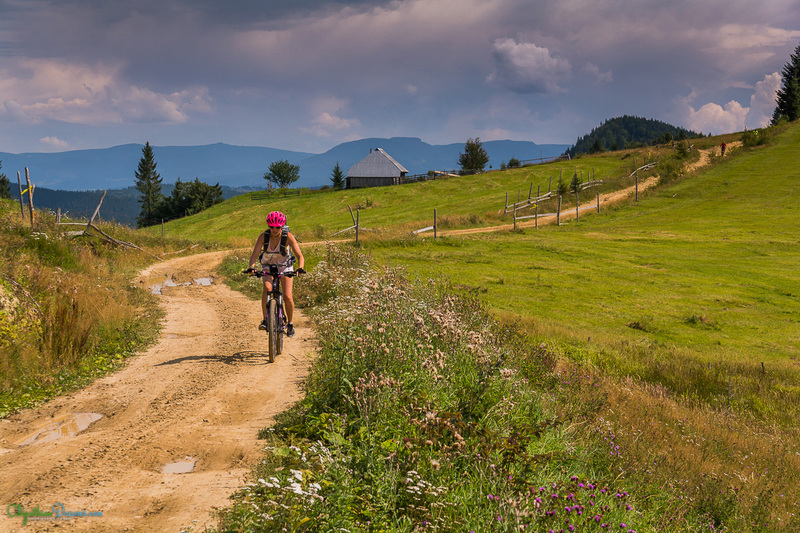 The aim of the tour is to combine the pleasure of biking with the direct experience on the carpathian nature and the romanian village lifestyle. We will have two basecamps from wich we will do round day trips, with one ride that connects them. 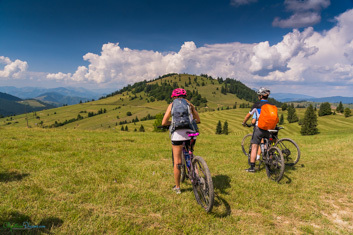 For the first couple of days we will enjoy the fresh air and the pictouresque landscape of a beautiful mountain village.After this period of accomodation we will be facing the first challenging ride of the tour, in one of the oldest romanian national parks, located in the Rodna mountains. A hard climb, followed by a long descent will be the delicacies of the day. The 4 th day, heading south, will take us over the Borgo Mountains, with their low altitude plateaus wich allowed humans to settle up. 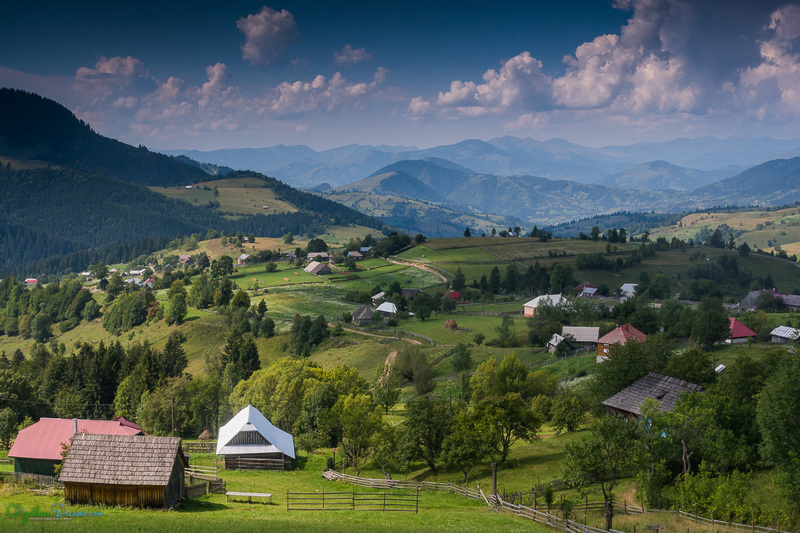 Here, passing the remote mountain villages of Ciosa and Poiana Catunenilor we will be experiencing ancient old lifestyle, wich saddly is facing extiction due to globalization. Reaching Colibitza lake in the afternoon and taking a refreshing swim in its cool waters, will be the reward for the day. With its iodide rich air and marvelous views, Colibitza is the perfect place for our last days of biking, also offerring extra multiple options like seakayaking or trekking. Our 5th day of riding will take us deeply into the wilderness of the Călimani Mountains, known for one of the most great densities of the brown bear population in Europe. Depending on the shepherds transhumance, we might be able to take lunch at the sheepfold, experiencing this traditional lifestyle. 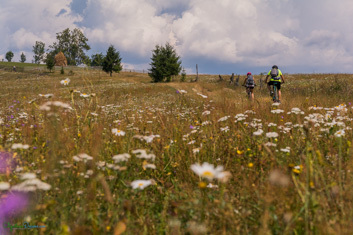 For the last day of riding we will be passing through misterious forests and places, arriving and taking lunch at the Count Dracula’s Hotel, located in a pitoresque mountains pass, wich connects the historical regions of Transilvania and Moldova. Arriving in Romania. 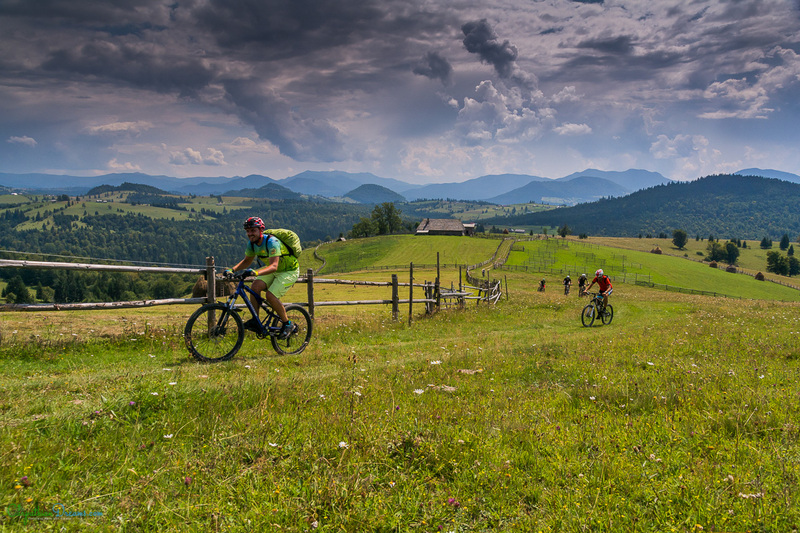 Transfer to Lunca Ilvei mountain village located in Bistrita / Nasaud county. Assembling bikes, short warmup arround the village, detailed presentation of the tour. 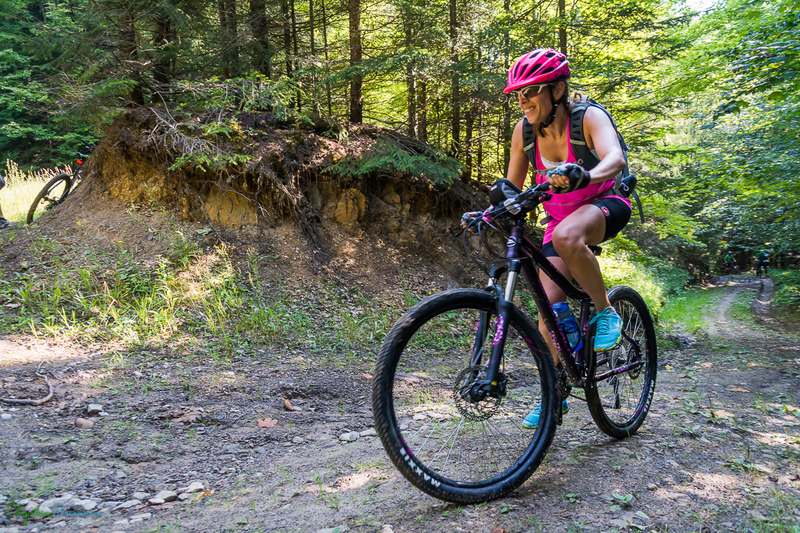 We will start the tour with an accomodating round trip in the hills that are surrounding the Lunca Ilvei village.Experiencing the traditional lifestyle of the locals and riding trough the wild forests and the pristine meadows will be the delicacies of the day. Included services: breakfast, sandwiches for lunch, dinner, accomodation. 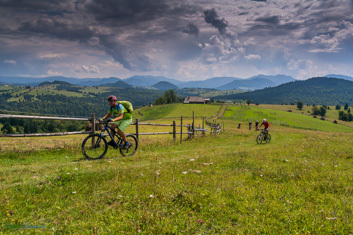 Our second day will take us to one of the most enjoyable mtb tours that can be done in the area. After a short warm-up climb we will descent to Şanţ village, from where we will begin a long and challenging climb, up to the ridge of the Rodna mountains. From here we will be rewarded with a long descent to the Rodna village. The returning path, back to our accommodation village will take us trough the remote cottages between the Someş and Ilva valleys. 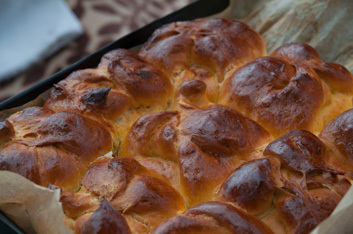 Included services: breakfast, sandwiches for lunch, dinner, accommodation. 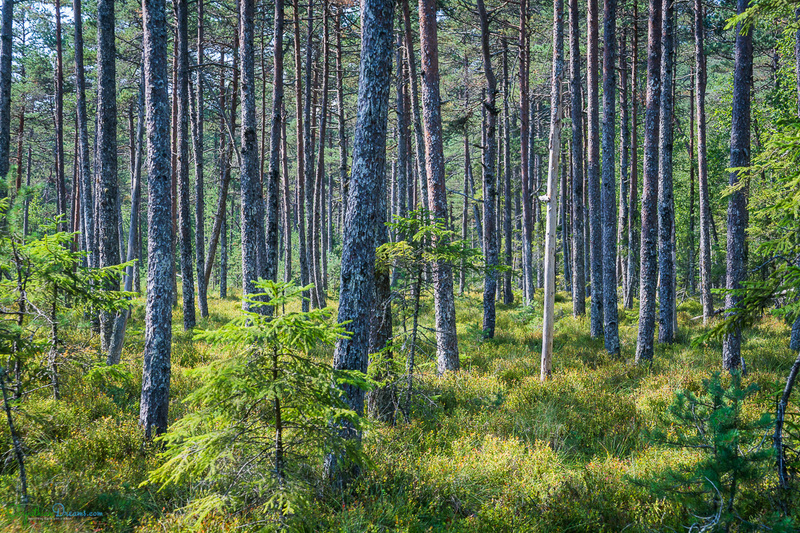 We will leave our host for the first days, heading south over the Borgo mountains to Colibitza lake. After a hard climb up to the Poiana Cătunenilor village, we will mostly spend our day at arround 1000m of altitude, before reaching in the afternoon the Colibitza lake. Today we will be facing the most challenging climbs of the tour, gaining aprox. 1800 m in about 50 km. We will be entering deeply into the wilderness of the Călimani Mountains, known for one of the most great densities of the brown bear population in Europe and probably one of the last wild regions on this part of the continent, in its true sense. 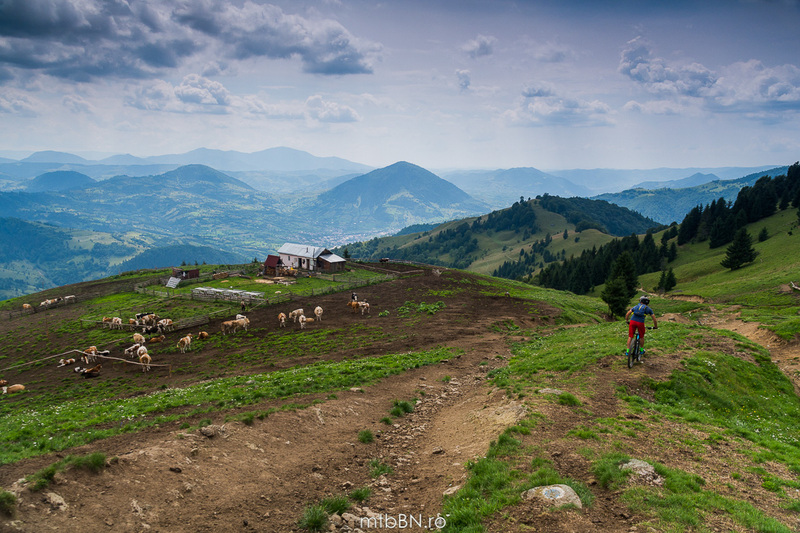 We will also pass trough some beautiful meadows, where we will experience the traditional lifestyle of the shepherds and from where we will admire the higher vulcanic peaks of the Călimani Mountains. The cherry of the day will be the magical place where lies the lake of the Fairies and the reward for the intense effort at the end of the day will be the refreshing swim into the Colibitza lake. View over the higher peaks and volcanoes of the Călimani mtns. 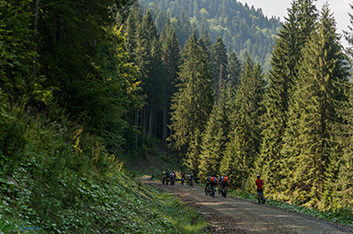 For the last day of riding we will be passing through mysterious forests and places, arriving and taking lunch at the Count Dracula’s Hotel, located in a picturesque mountains pass, which connects the historical regions of Transylvania and Moldova, the place where the story from the Bram Stoker’s novel is taking place. After lunch we will be visiting the Piatra Fântânele orthodox monastery and will enjoy the great 360 degrees view from the near cross. We say good bye and leave this magical place. During summer time weather in Romania can be very warm to hot, with short periods of cold rainy days and with regulary summer storms with lightnings and thunders during afternoons. Temperatures during summer can vary from 5 degrees Celsius in the morning to as much as 35 degrees at noon (even 40 degrees in the southern part of Romania). We highly recommend you to have a travel and accident insurance, for your holiday, that should cover you over the time spent in Romania. 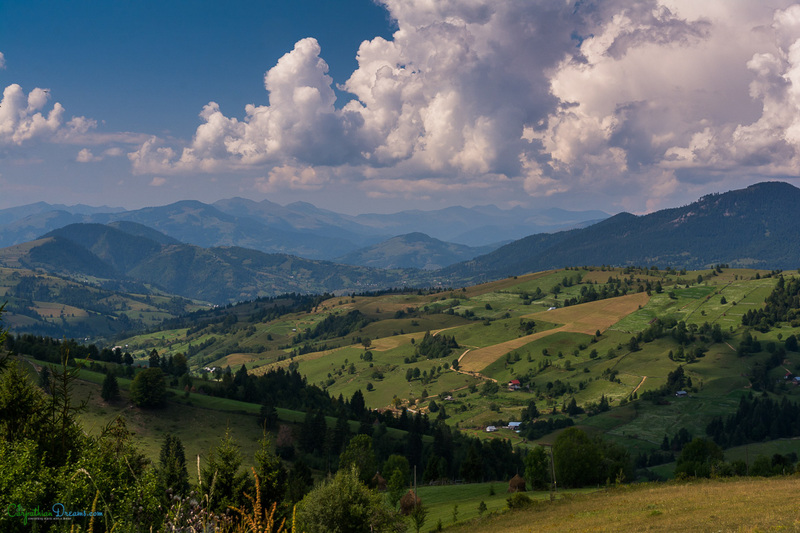 Romania, a country from the east part of Europe is a place little known for the rest of the World, but wich has a lot to offer. Romania’s mountains are considered to be one of the last wild places in Europe beeing home of more than half of Europe’s large carnivores like bears and wolves.With almost half of its population living in the countryside, Romania and its villages is the place where you can still experience the rural lifestyle, in its true sense, witnessing ancient old traditions and customs, wich are extinct in other parts of Europe. People are still working and living from the land, using their own hands and animals for this. They still use horse drawn carts for carrying stuff and colecting hay in the old ways.But this fragile paradise is facing extinction due to globalization, Eu regulation (Romania entered European Union in 2007) and young people migration to urban areas and to foreign countries in search for a place to work.Also, other danger that Romania is facing is deforestation. 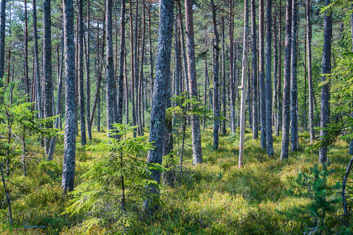 Tourism and income from it could be an alternative to distruction of the wild habitats. 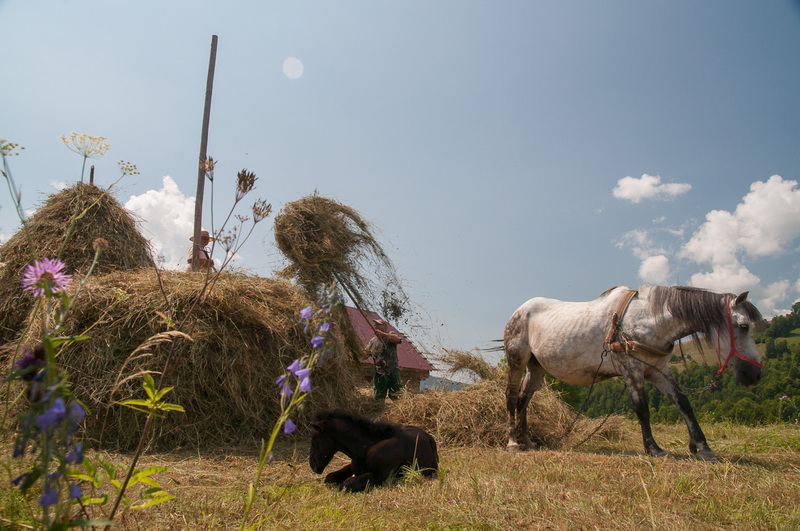 It can also add an income to the local economy, helping to preserve the fragile way of life of the local comunities.The best moment to visit the wild and archaic Romania was 20 years ago, the second one is NOW !!! 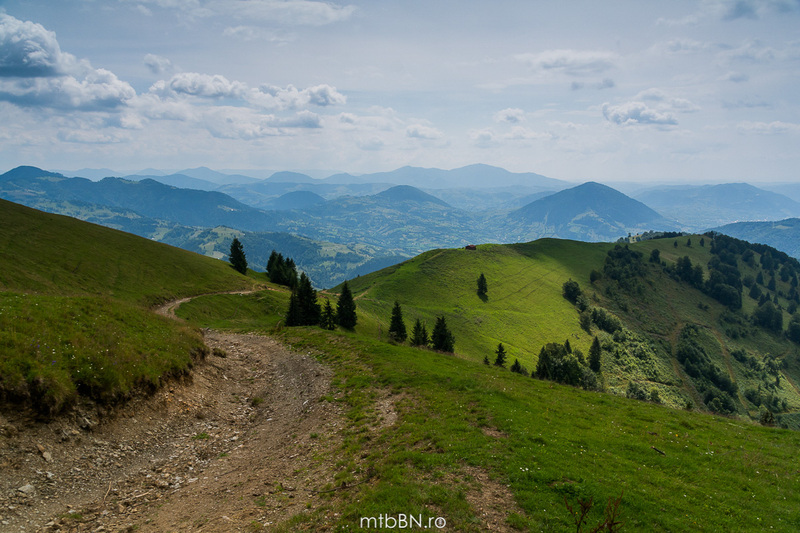 Wild Carpathia is a TV series made out of 4 parts, showing the unspoiled nature and rural culture of the Carpathians, but also the threats. You can find more info on the official site, together with the other parts of the series. http://www.wildcarpathia.tv/ Enjoy! Sergi, Barcelona – It’s been such a great trip. Everything was perfect. We enjoyed a lot the experience, not only for the routes and places where we stayed, but for our guide Calin, who was a great person and always willing to help. If you are interested in attending this trip, please send us a message. 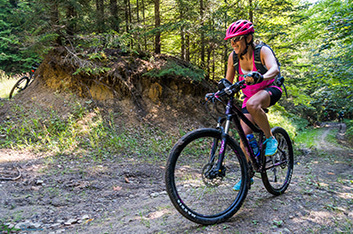 Subscribe to our newsletter and join the tribe of worldwide mountain bikers. Be the first to receive our best offers and future events, plus a 50 euro discount bonus for your first booked tour.